Seiko YOSHIMURA is a urushi artist who works mainly in Kyoto. 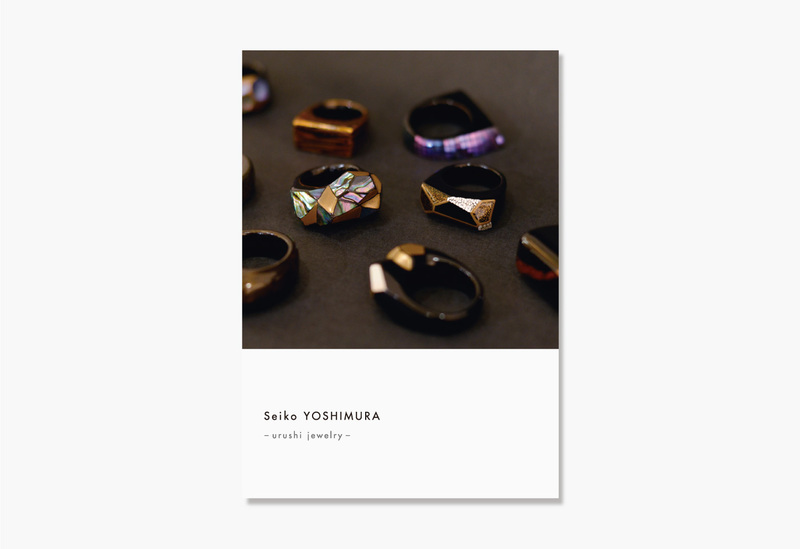 She makes urushi accessories with traditional technique and sense of modern. 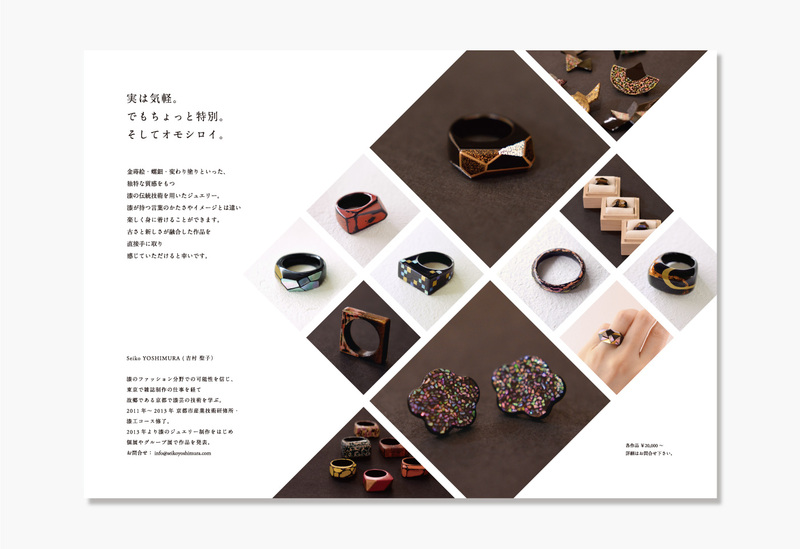 We made a brochure which introduces her works to use through her activities.